Since Black Friday is here, more and more companies announce their Black Friday deals. 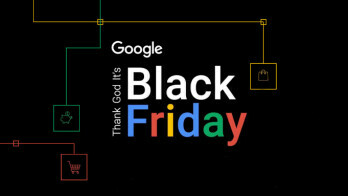 However, Google Black Friday deals seem to be some of the best. Many of their offers are related to Google Play. You should know that there are no discounts for Google’s Pixel 2 and Pixel 2 XL. Nevertheless, Android users who tend to visit the Google Play Store would be thrilled. The company already offered plenty of details about Google Play offers and sales, including the ones related to movies, music, and games. The sales have already started on November 22, and they will continue until November 27. Google offers an 80% discount for some of their Android titles, including LEGO Jurassic Park, LEGO Ninjago: Shadow of Ronin and Call of Duty: Black Ops Zombies. Furthermore, Google Black Friday deals also involve some discounts for in-app purchases for Homescapes and Gardenscapes. Players would be thrilled to find out that for a limited amount of time, you could also get unlimited lives in both games. An unexpected thing that Google tries to do is to revive Google Play Music. We don’t hear much about this, but Google is now trying to implement more promotions to attract subscribers. The company intends to offer four-month subscriptions to their service for free. People should take advantage of this deal since Google Play Music offers a subscription to YouTube Red. Furthermore, starting from today, November 23, Google will also offer a 50% discount on every movie and a 25% discount for a one-time TV season purchase. Keep in mind the fact that you can use each discount only once. Take advantage of all these discounts and offers that Google prepares for you. If you are a fan of comic books, you should also know that a wide selection of comic books will be on sale for $5 on November 25.